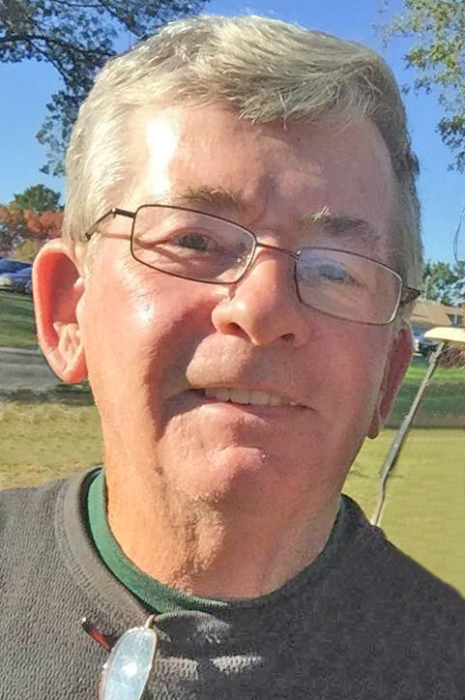 John “Hap” M. Harrigan, 72, of Woonsocket, passed away March 30, 2019 surrounded by his family and friends in Hope Hospice & Palliative Care Center in Providence. He was the beloved husband for 49 years of Frances (Leja) Harrigan. Born in Woonsocket, he was the son of the late William Harrigan and Doris (Langelier) Bligh and stepfather, James Bligh. Besides his wife, Fran, he is survived by their two children, William Harrigan and his wife Tammy of Harrisville, and Laurie Harrigan of North Smithfield; four grandchildren, Leah and Ian Wilbur, and Camden and Julia Harrigan; as well as two sisters, Susan and her husband Richard Lefebvre, Patricia and her husband Charles Lefebvre, both of North Smithfield. He was the brother of the late Kathleen Daigneault. A Mass of Christian Burial will be held Saturday, April 6, 2019 at 12:00 PM in St. Paul's Church, 48 Saint Paul St., Blackstone, MA, followed by Military Honors. Calling hours are Friday from 4 - 7 PM in the Holt Funeral Home, 510 South Main St. Woonsocket. In lieu of flowers, memorial contributions may be made to The American Lung Association of Rhode Island, 260 West Exchange St. Suite 102 B, Providence, RI 02903.